Our names are Vithal, Ganesh, Sharmili and Padmini, We are Indian leopards that escaped death or the terrible fate of being burnt alive. We cannot be released into the wild because our jungles have become crop fields and sugar cane fields and people have taken over our forested home. For many years after we lost our freedom we were made to endure life in a five sq metres concrete or metal cage in which we could not even lie down or turn around. More leopards joined us in captivity all of us suffering of lack of exercise, space to stretch or run, and our fur soon lost their shine and many of the older ones became arthritic and full of sores. Today please help us collect funds for the building of a larger enclosure where we can take turns, three at a time, to spend a few hours per day in an area where we can experience the nearly forgotten feeling of the mud under our paws, of being surrounded by greenery where we can at last stretch our muscles and scratch at the tree trunks and pretend to stalk a bird and leap onto a tree branch. About five hours from Mumbai (Bombay), a few kilometres from Junnar, in a secluded place, away from noise and prying eyes which are so stressful to animals specially leopards. With the rapid population growth in India, wild animals are struggling to maintain their hold on their rightful heritage of forests and their habitat is more and more frequently taken over by man who constructs homes, cultivates crops and keeps his livestock in what used to be leopard territory. This means man and animals clashes and it’s the leopards that suffer wounds or worse. 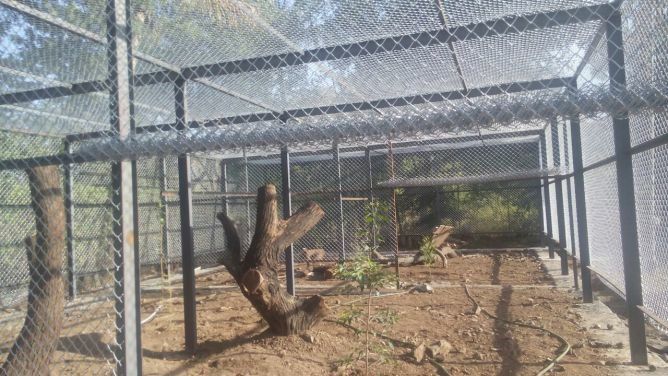 Six years ago the Maharashtra Forest Department handed over the Manikdoh Leopard Rehabilitation centre to the society named Wild Life SOS www.wildlifesos.org. At that time there were 24 leopards, today there are thirty one leopards and Wildlife SOS has rescued and returned many to the wild and reunited mothers and cubs separated by the villagers who often drive away the mother and give the cubs to the forest department. The funds first raised were used to ensure the supply of the daily 3 kgs of meat required for each leopard. Three years later, the Government financed (about USD 150’000) the building of a block of ten additional cages of 120 square meters each and is presently financing the building of a surrounding wall and the repair of the roofs of various buildings. Unfortunately the building of another additional block of large cages is not planned for the time being. 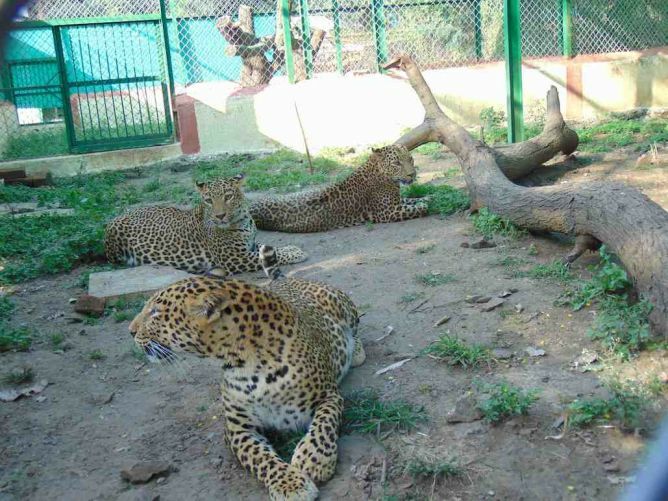 Being unable to collect USD 150’000 needed for Vithal, Ganesh, Sharmili, Padmini and the others to have spacious individual cages and out door enclosures, we have studied the possibility to offer an outdoor enclosure in which the leopards can take turns to stroll and climb platforms and trees and have the space to move around before they return to their dens or small cages for the night. 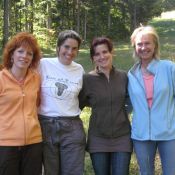 The first such outdoor area could be built in 2014 thanks to the generosity of Terre et Faune donors. 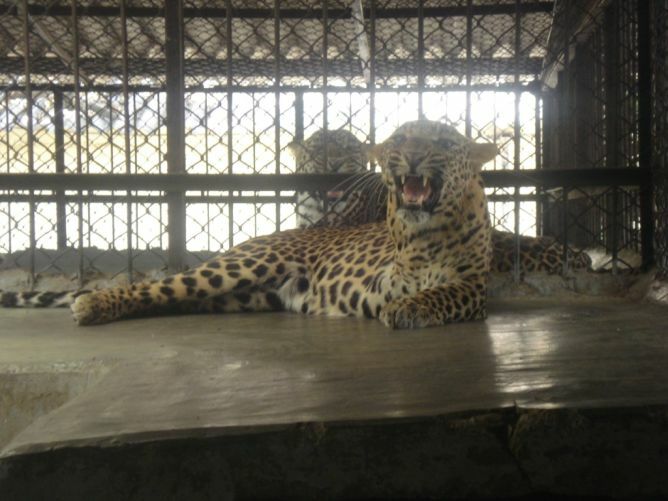 Asha, a pregnant leopard when caught, had given birth in the trapping cage. Her two daughters Usha and Niva, stayed with her for two years, all the three of them, in a one square meter cage. They are the ones first to benefit from the new spacious outdoor enclosure. We now urgently need a second such area; this is the reason for our appeal to your generosity. The amount needed is USD 20’000.-. While supporting this project, you are not only helping animals but supporting the whole structure that allows the cohabitation of men and these wonderful big cats. The ultimate goal of Wildlife SOS is educating the villagers and increasing their awareness of the importance for the leopards to be allowed to remain in their natural environment and not to be held in cages, however large they may be. For the time being we are enjoying a certain degree of success since out of the thirteen leopards which arrived at the centre since Wildlife SOS took it over, eight were leopards caught and kept in tiny cages by villagers and the other five were captured by the rangers and are presently waiting for the clearance from the Forest Department to be released. 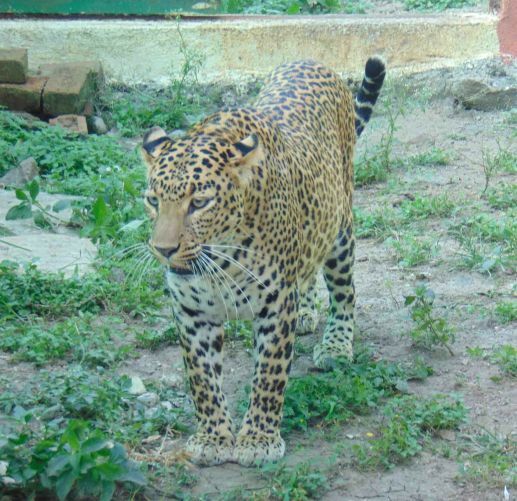 Many recent interventions consisted in the release of leopards which had been captured because villagers had complained to the forest dept and expressed fear of the leopards in their neighbourhood. The leopards were released in better suited wilder areas. 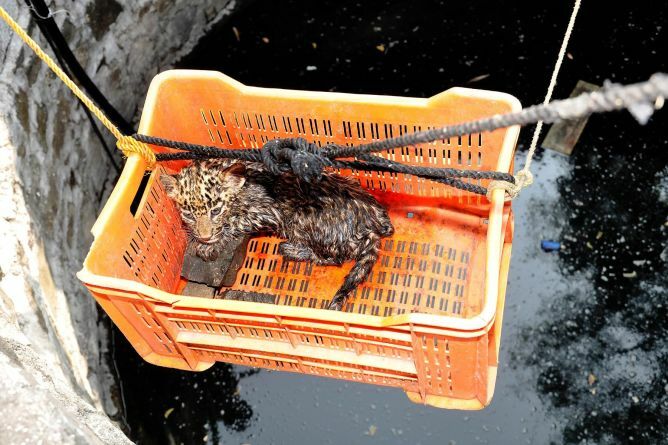 Wild Life SOS have already successfully achieved several rescues of leopards that have fallen into open wells and others that are trapped in farmhouses or have entered schools and cow sheds. 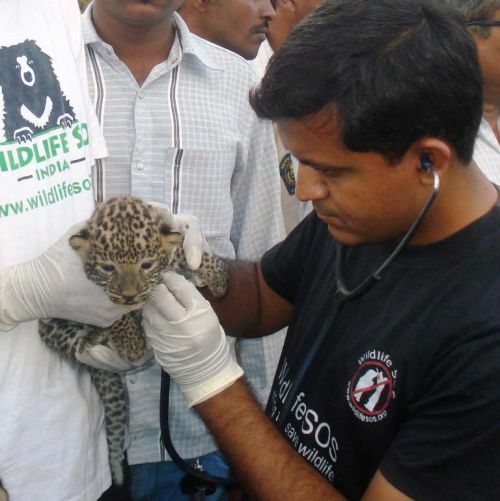 Wildlife SOS cares for both wild life and the safety of humans. Vithal, Ganesh, Sharmili , Padmini and the others thank you a lot for your support that will enable them to finally spend some time in the outdoors and fresh air out of their small cell in which they can only pace round and round on a concrete floor.